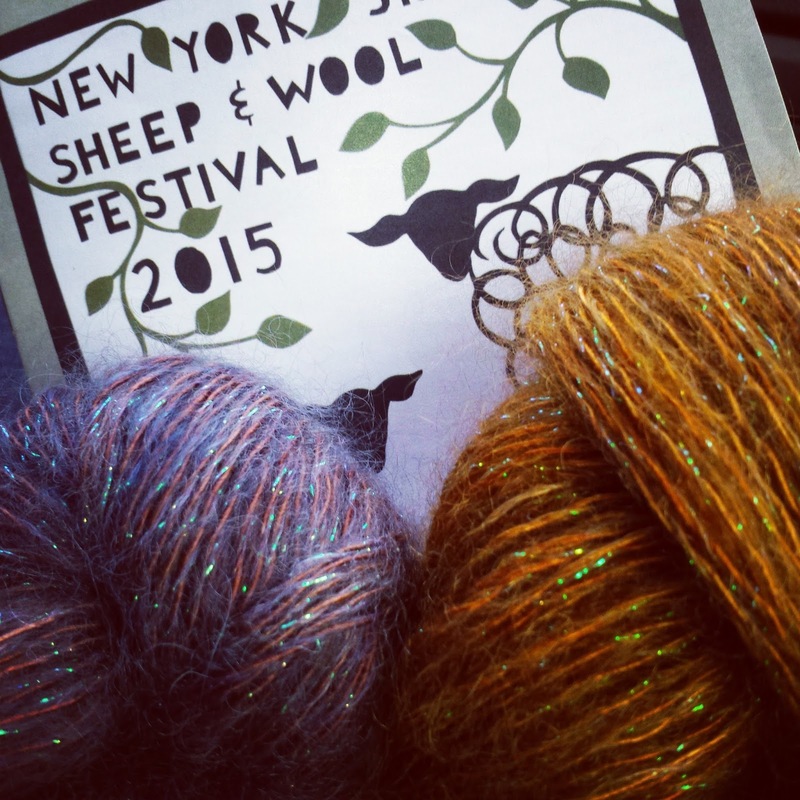 Last weekend was the 3rd weekend of October which can only mean one thing... RHINEBECK! Yes, last weekend was the happiest of the year. I only went on Sunday this time around and was a little unprepared for how cold it was. 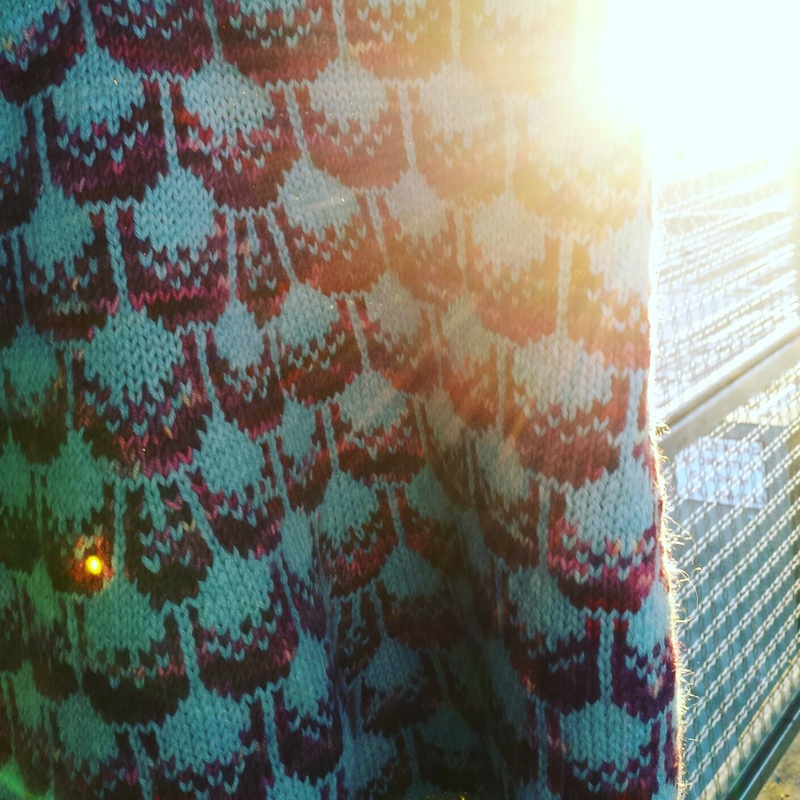 Most years are too hot for me to even show off any knits, so I didn't prepare much this year and spent most of the time with stiff frozen fingers. Whoops. The snow was pretty though. Yeah, snow! I thought it was just a cottonwood tree at first. I have not been home when there is good sunlight since getting back from Rhinebeck so I only have pictures of a few things but I thought I would break them up into 2 posts. 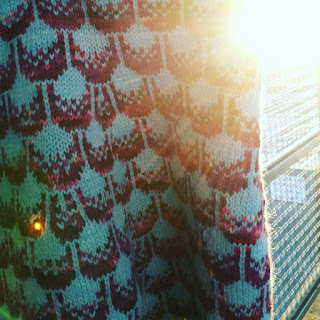 First, this is a silly "artsy" pic of the cowl I wore from my subway platform in Brooklyn, because clichés happen (please never let hipster insta barbie learn to knit). Pattern coming soon-ish. 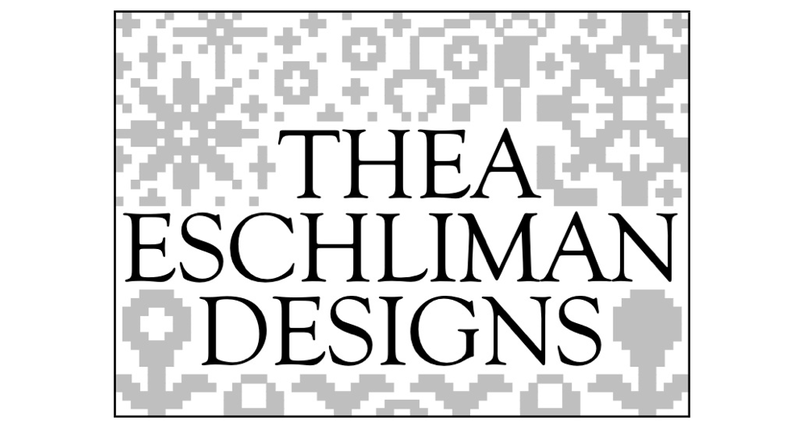 If you are interested in test knitting message me through Ravelry for more info. This is my new, and first, yarn bowl. It's from Primrose Pottery/Sins and Needles 89. She paints the best fandom yarn bowls. 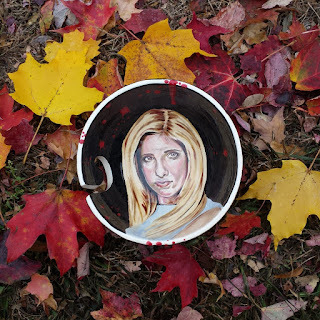 She has one with Winifred from Hocus Pocus that I covet but I could not pass on a Buffy bowl. This is my favorite Rhinebeck yarn purchase this year so it got a pic from the car on the ride back. I will hunt down and put the info in the next post. The guy who dyes is does not have a website yet but everyone was bugging him about it and he said it was in the works. 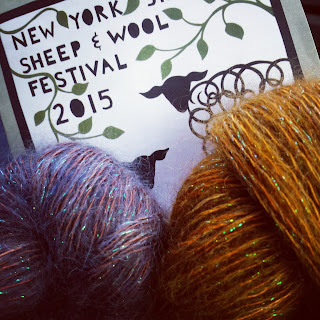 This is not the first time I have seen pretty sparkly yarn at Rhinebeck but this one was by far the prettiest. The ladies paying for their yarn in front of my were teasing me that I had heart eyes staring at it. If feels glorious and looks ethereal. I am so in love.